It is a nutrient that your muscles need - getting caught up in the wave of energy and increased anabolism. With this product, the growth of your muscles will be faster than ever before. This high protein gainier provide you with everything you need! 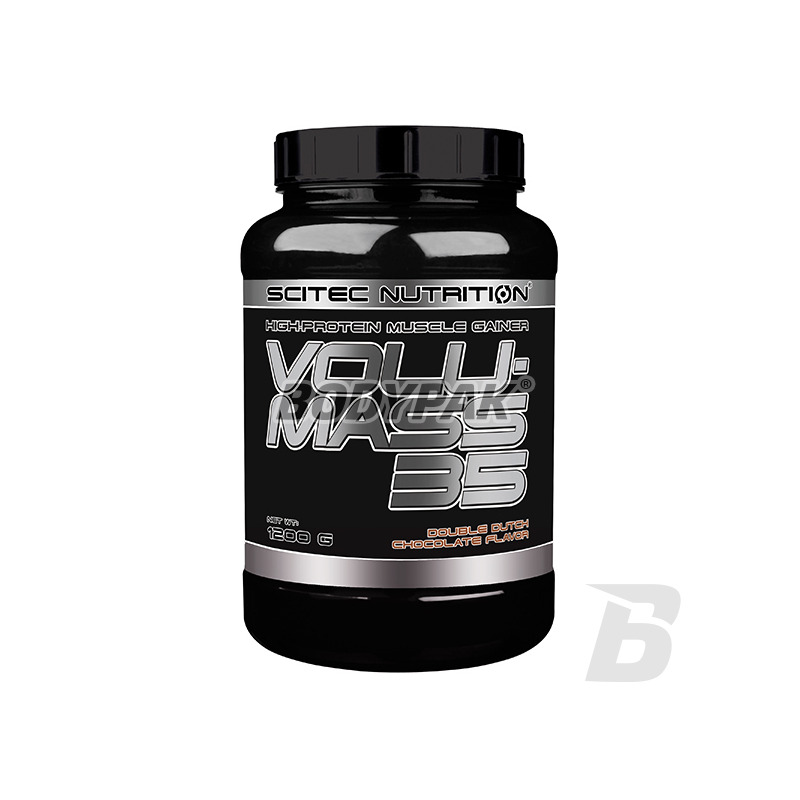 Volumass 35 is a high-protein gainer ideal for building lean muscle mass. It's a very fast way to provide all the muscles they need to increase nutrients. High quality gainier with increased protein content - perfect for active people to supplement deficiencies in the diet. Do not worry, you do not risk on the part of this product. The only thing you can meet the fast growth and athletic, slim silhouette. All thanks to Scitec Volumass 35! 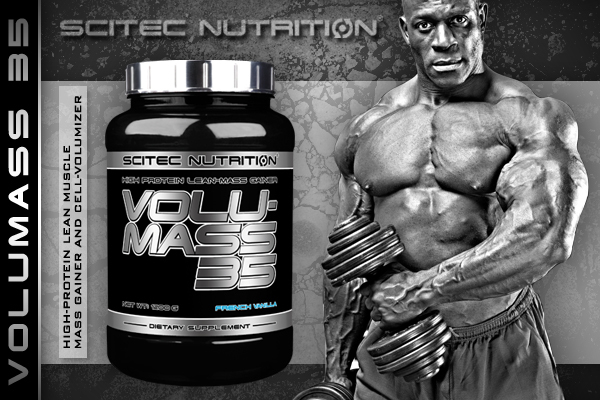 Scitec Volumass 35 delivers a broad spectrum of nutrients for your muscles. Volumass 35 is designed for people who have an increased need for macronutrients because of the large amount of muscle mass or high physical activity. Volumass 35 is characterized by a significant content of creatine (2.5 grams), higher protein content and a large amount of calories in each serving. In the process of building muscle mass is just protein and carbohydrates are important because they provide energy and nutrients for muscles. 35% protein content makes Volumass 35 perfectly fits in most diet programs and will suit most types of metabolic disorders. Volumass 35 thus provides a balanced source of nutrients, which can be an integral part of your daily nutrition plan. Included in the protein product is derived from the combination of high quality, ultrafiltered concentrate and micro-filtered whey protein isolate. Proteins are the food source of nitrogen and essential amino acids, without which our body is not able to build muscle mass. * Whey protein from milk, often called protein complete, because it provides the body with all he needs amino acids, 9 amino acids (histidine, isoleucine, leucine, lysine, methionine, phenylalanine, threonine, tryptophan, and valine), whose body is able to synthesize itself. The net protein utilization (Net Protein Utilisation, NPU) determines how much of the nitrogen derived from ingested protein is retained in the body, a biological value (Biological Value, BV) determines how much of the absorbed nitrogen is retained in the body. Whey protein is characterized by the ease of digestion and a good amino acid profile, so that the value area, compared with other protein sources, is very high. 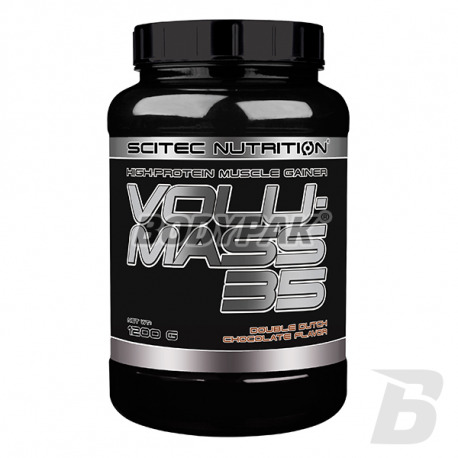 Volumass 35 also contains creatine and taurine. 3 gram, daily dose creatine is able to effectively increase the capacity of the body's stress during brief, intense efforts like. Strength training and interval cardio * (120 grams Volumass 35 contains 3 grams of creatine). Mix one serving, 50 grams, 250 milliliters of water or skim milk. For best results, consume one serving within 30 minutes of completing your workout. Use at least 120 grams of product per day, if you want to provide the body with a full dose of creatine (3 grams). The product is not intended to replace meals, but only to supplement the diet. Składniki: Ultrafiltrowany koncentrat białek serwatki (wyprodukowany z mleka, emulgator: lecytyna sojowa) zawierający laktoglobulinę, laktoferrynę, laktoalbuminę oraz frakcje immunoglobulin, Maltodekstryna, Monohydrat kreatyny, Dekstroza, Jogurt w proszku (mleko), aromat (kremowa wanilia), Wodorofosforan disodu, Tauryna, Wodorofosforan magnezu, Diwodorofosforan potasu, substancje słodzące (Acesulfam K, Suklaroza), Izolat białek serwatki (wyprodukowany z mleka, emulgator: lecytyna sojowa).